The shepherds of Israel, the teachers, scribes and priests, had become corrupt. They cared only for themselves and not for the people. The Lord gave this directive to the prophet Ezekiel, to pronounce “Woe” on the shepherds; to let them know that the Lord himself was going to “clean house”. The word was given that God himself would search for his sheep and seek them out. This came to pass when the Good Shepherd, the Messiah came. ‘Therefore thus says the Lord God to them: “Behold, I Myself will judge between the fat and the lean sheep. Because you have pushed with side and shoulder, butted all the weak ones with your horns, and scattered them abroad, therefore I will save My flock, and they shall no longer be a prey; and I will judge between sheep and sheep. I will establish one shepherd over them, and he shall feed them—My servant David. 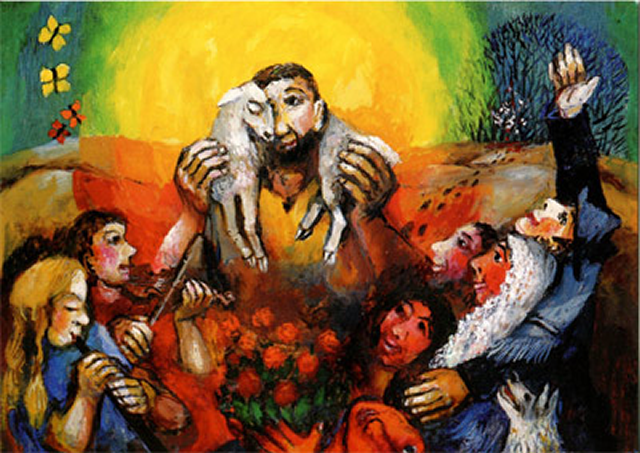 He shall feed them and be their shepherd. And I, the Lord, will be their God, and My servant David a prince among them; I, the Lord, have spoken. “You are My flock, the flock of My pasture; you are men, and I am your God,” says the Lord God. Jesus is commonly known as “The Good Shepherd” but most people don’t realize that he spoke of himself that way. A solo for Soprano voice from Handel’s Messiah.